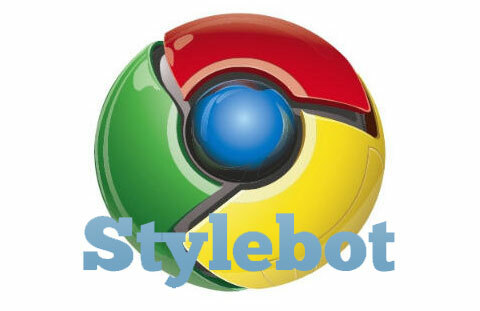 Google just announced a great new extension for its Chrome browser called Stylebot which will put design controls of any web page in users’ hands. If you’re a design enthusiast and keep finding faults with web pages and sites you visit every day or just looking to have some fun, Stylebot gives you the option to access and modify the CSS for any web page from within the browser. For example, a Stylebot user with special reading needs might change a webpage by removing images, picking new text and background colours and even moving blocks of text around. Stylebot saves the custom style they create, so the next time they access that page the changes will still be there. Even better, they can sync their saved styles across computers so that webpage will always appear with their preferred style. This is one of the best extensions that Google has introduced on Chrome and it will definitely gain users’ attention who would want to change their frequently visited sites to appear the way they want. Getting rid of ads and increasing the font size is an option that will attract a large number of users and we’ll see some major migration from rival browsers to Chrome. Downloading and activating the Stylebot extension will show a sidebar with a number of basic and advanced CSS options that will allow users to manipulate and choose how content is displayed. The tool is fairly simple to use even for users with moderately good computer skills but also has detailed and advanced level options for high tech web designers. You can download the extension here and start changing colours, designs, fonts and even write your own CSS selectors for your favourite web pages right now. You can also watch the video below to know what Stylebot has in store for the designer inside you. Google Voice Now Open to All in the U.S.